Satisfying, High-Fat Snacks for Better Health! Snack food industry sources say that people snack more these days because of “frenzied” lives that lead to on-the-go-eating and a tendency to substitute meals with several smaller snacks. Researchers say this eating transformation translates to approximately 30 percent of our daily food intake from snacking. This development has fueled a big and ever-growing snack food industry. Global sales reportedly increase by 2 percent a year and, as of 2014, have reached annual sales of $374, led by Europe ($167 billion) and North America ($124 billion). As a nutritionally-oriented doctor, I frequently get asked about what foods I recommend for snacks. Although I am not personally a big fan of snacking, I believe we can certainly make healthy, satisfying choices – both for ourselves and for our children. Processed foods loaded with sugar: candy, cookies, cakes, and many baked goods. All such carbohydrate content is quickly digested into sugar and generates an insulin reaction by the body to bring the sugar level down. Regularly snacking on this stuff contributes to weight gain, pre-diabetes, diabetes, and cardiovascular disease. Processed foods loaded with salt: chips, pretzels, salted nuts, dried beef, and lunch meats like salami. Too much salt promotes high blood pressure, a major risk factor for cardiovascular disease. My preferences are, surprisingly, high-fat snacks that rapidly satisfy hunger and discourage overeating between meals. That’s right I said f-a-t, BUT the right kind of fat. I don’t mean trans fats and hydrogenated oils that are processed unsaturated fat commonly found in fried and snack foods, baked goods, and frozen dinners. They have an inflammatory effect on the body and raise your risk of heart disease. I mean healthy, tasty fats, the kinds that provide the body with energy without the empty calories from the usual sugar and carbohydrate overload. Avocado. At the top of my list is the awesome avocado, a royally healing fruit if there ever was one. Eat it by itself or make it the base of a delicious guacamole or in combination with a cooked egg. Avocados, loaded with healthy monounsaturated fat, fiber, essential nutrients and antioxidants like glutathione and vitamin E, add quality to the diet, improve nutrient intake, and are associated with a reduced risk of pre-diabetes. Try this guacamole with “chips” recipe! Nuts. I prefer raw and unsalted. Throw raisins in the mix if you want added sweetness. Nuts are my go-to food when I am on the run, and have no time to sit down and eat a regular meal. My favorites are almonds, walnuts, and macadamias. Nuts have a cardioprotective benefit. Walnuts, the most studied of nuts, contain high amounts of omega-3 fatty acids and almonds, macadamia nuts, hazelnuts and pecans also appear to be quite heart-healthy. Researchers have found that for persons at high cardiovascular risk, a Mediterranean diet supplemented with extra-virgin olive oil or nuts reduces the incidence of major cardiovascular events. Olive oil and dipping spices. I’m a huge fan of olive oil and eat it whenever I can. Enhancing it with a savory dipping spices blend is like pairing peanut butter and jelly – once you try it, it’s hard to imagine going back! And while most people associate olive oil dipping with bread, it’s a fantastic way to enjoy other superfoods our bodies thrive on like fresh, steamed broccoli, spinach, Brussels sprouts, cauliflower – all sorts of veggies! Just drizzle several tablespoons of cold-pressed olive oil into a bowl, add a teaspoon or so of dipping spices, and toss with the steamed veggies – healthy never tasted so good! Nut butter on a celery stick, sliced apple pieces, or bell pepper. This is a snack that combines the benefit of healthy fruit and veggie nutrients with nut protein and omega-3 fatty acids. Even kids love this snack! Add raisins to sweeten it up. I prefer raw nut butters over roasted, which may have lesser nutrient content, and include undesirable hydrogenated or omega-6 fats. Organic cream cheese on a celery stick, sliced apple pieces, or bell pepper. Same concept as above. Don’t get the non-fat or low-fat versions. Research has shown that whole-fat dairy is more satisfying and better for weight goals than the low-fat varieties that often have undesirable added ingredients. Coconut. Crack one open, then drink the milk and eat some of the meat. That will fill you up. Coconuts are rich in healthy saturated fat that has no artery clogging effect. The medium chain fatty acids raise HDL cholesterol, are easy to digest (even for people with gastrointestinal ailments), and are rapidly metabolized, providing quick energy. You’ll also get a wide range of minerals such as copper, calcium, iron, magnesium, potassium, and zinc. Canned sardines. Sardines are among the richest sources of omega-3 fatty acids, packing around 1.8 grams in a typical 4 ounce can. They are also high in protein, B vitamins, especially vitamin B12, vitamin D, and calcium. You can eat them right out of the can, quickly mixed with salad, on a piece of toast, or mashed with olives, mustard, extra virgin olive oil, garlic, and/or onions. Hard-boiled eggs. Eggs make a perfect snack, full of protein, vitamins and minerals, fat, and, yes, cholesterol. Worried about the cholesterol? Don’t be. Nutrition experts say the cholesterol in food is no concern for health. Worried about the saturated fat (1.6 grams out of a total of 5 grams of fat) in eggs? Don’t be. For decades, saturated fats were maligned as dangerous to heart health, but repeated research has found no evidence at all for that. Chop eggs and add them to a salad, or eat them alone, garnished with olives, chopped green onions, or a dash of paprika. Hummus. This traditional Middle Eastern dip has become a booming success in the West. It contains superbly healthy ingredients, namely chickpeas (garbanzo beans), garlic, lemon juice, tahini (sesame paste), and olive oil. Together, the dish serves up a rich collection of vitamins, minerals, protein, fiber, and both healthy monounsaturated (from olive oil) and polyunsaturated fats (from the tahini). Researchers have actually found that Americans who eat hummus tend to have a greater overall nutrient intake and weight status than non-consumers. Buy it ready-to-eat or make your own (there are plenty of simple hummus recipes on the Internet). Eat it with carrot “chips,” celery sticks or bell peppers instead of white flour pita. Packaged Facts. Snack Foods in the U.S., 4th Edition. June 1, 2011. Piernas C, Popkin BM. Snacking increased among U.S. adults between 1977 and 2006. J Nutr. 2010. 140:325-332. Nielsen Global Survey. Global snack food sales reach $374 billion annually. September 9, 2014. Fulgoni VL, Dreher M, Davenport AJ. Avocado consumption is associated with better diet quality and nutrient intake, and lower metabolic syndrome risk in US adults: results from the National Health and Nutrition Examination Survey (NHANES) 2001–2008. Nutrition Journal, 2013. 12:1. Estruch R, Ros E, Salas-Salvado J, et al. Primary Prevention of Cardiovascular Disease with a Mediterranean Diet. N Engl J Med, 2013. 368:1279-1290. Damodaran M Vasudevan. Coconut Oil and Health Controversy: A Review. Int J Health Rehabil Sci, 2013. 2(3):157-164. O’Neil CE, Nicklas TA, Fulgoni III VL. Chickpeas and Hummus are associated with Better Nutrient Intake, Diet Quality, and Levels of Some Cardiovascular Risk Factors: National Health and Nutrition Examination Survey 2003-2010. J Nutr Food Sci. 2014. 4:254. © 2018, 2015 HeartMD Institute. All rights reserved. 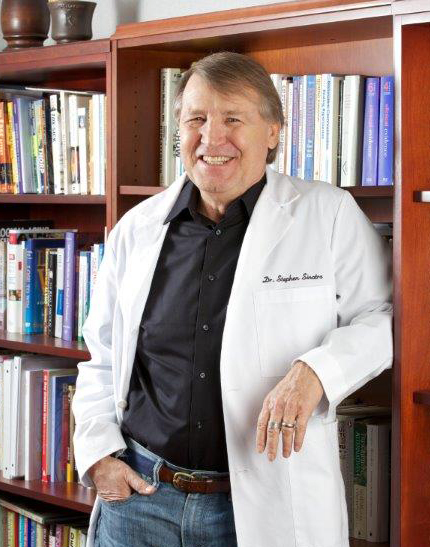 Dear Dr. Sinatra, Thank you for your care and generosity in continually sharing rich information, for all. I am so excited to see this article. For the past 17 years I’ve studied and practiced a ketogenic diet an am convinced of it’s benefits. First following the research and writing of Dr Adkins, I eliminated the majority of carbohydrates from my diet. Of course this diet is extremely hard to follow for a lifetime so I naturally relapsed. Later I found the research Doctors Fung, D’Agostino, Taubs, and others who have continued this research to include the paradigms of reducing protein as well and adding intermittent fasting to my dietary lifestyle. This along with periods of not dieting at all to avoid diet weariness has enabled me to maintain my weight, maintain a healthy blood pressure, and eliminate my CV disease, type 2 DM, and cancer risks. It is refreshing to find useful information clearly explained and based on solid research. Thank you! have been enjoying some of your “do” snacks already, but am delighted to see more good options. And I plan to try out the cookie recipe.